An acceptable bill of sale includes year, make, and vehicle identification number (VIN) of the vehicle purchased. The date of sale, purchase price, names and signatures of the buyer and seller should also be included. If vehicle is leased or financed, a certified copy of the Title is accepted in place of the original. Proof of Incorporation is only required if you are registering a vehicle for a business or organization. You can estimate the registration fees you will need to pay. What registration documents will the DMV give me? If applicable, DMV will send you your new title separately. Allow up to 90 days to receive it. If you don’t have one of these, see other kinds of proofyou can use. The procedures to register a vehicle that has more than one owner or registrant are generally the same as to register (and title) a vehicle that has a single owner or registration. You can find special instructions below. Can the registration document and the title certificate for a vehicle show two different names? If the registration and title show two different names, the owner (the name on the title certificate) must authorize the other person to register the vehicle by completing box 3 on the Vehicle Registration/Title Application (MV–82). If the proof of ownership is a New York State title certificate in the name of the current owner, the title is examined and returned to you. 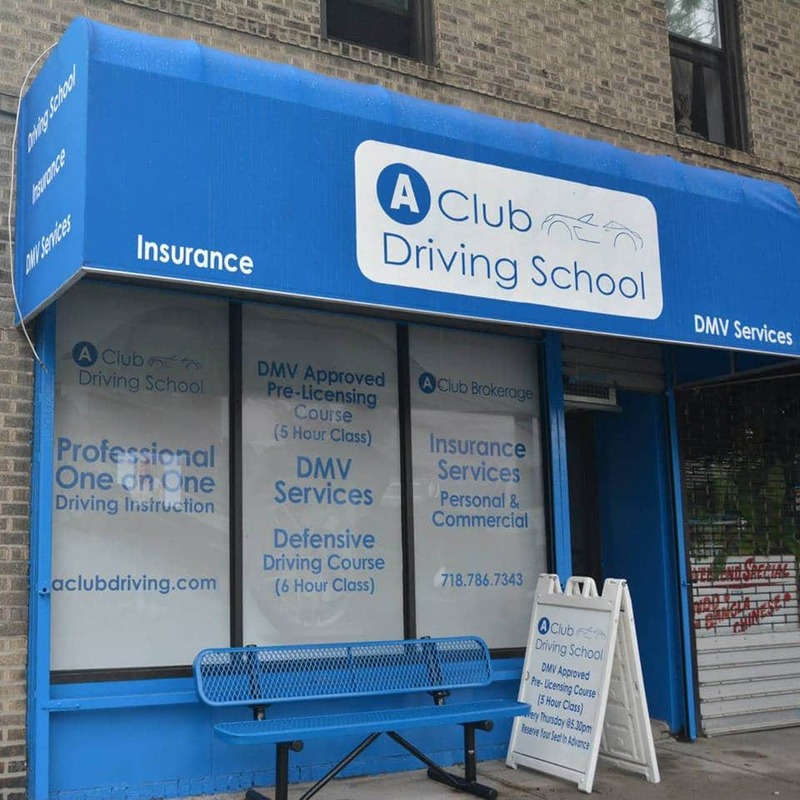 If the proof of ownership is not a New York State title in the name of the current owner, DMV keeps the proofs and mails a NYS title to the owner within 90 days. The required liability insurance and insurance card must display the name of the registrant, not the name of the owner. Proofs of identity are required for both registrant and owner. Can a vehicle registration have more than one registrant? Yes. There can be two or more registrants. Both the primary registrant and the co-registrant must sign the Vehicle Registration/Title Application (MV-82) and provide their proofs of identity. Both names must appear on the insurance card. Can I add a registrant to a registration or title? No. You can’t add a name to a current registration or title certificate. You must apply for a new registration and new vehicle plates in the two names. Can I remove a name (person) from a registration? Yes. If there is more than one name on the registration, you can apply for a registration amendment to remove one or more names from the registration. Complete the Vehicle Registration/Title Application (MV-82) with the names of the registrants that remain and show proofs of identity. The fee is $3. How long are the registrations? Trailer registrations are for one year with a fixed expiration date of December 31st. One plate and one yearly sticker are issued with the registration document. What are the trailer registration fees? The annual fee is $5.39 for each 500 pounds or fraction of 500 pounds, maximum gross weight, with a minimum of $14. 38. The fee is prorated on a daily basis. Will I be issued a title for my trailer? Trailers under 999 lbs or older than model year 1973 will be issued a transferable registration as proof of ownership. Yes. Your trailer must have an annual safety inspection. A DMV-licensed inspection station that inspects passenger vehicles and other light-duty vehicles can inspect a trailer. The inspector will give you the inspection sticker. Carry the inspection sticker in the vehicle that tows the trailer. Proof of Incorporation is only required if you are obtaining a title for a vehicle for a business or organization. When applying for a replacement title at a DMV office, you will NOT be issued a replacement title while there. All title certificates are printed in a secure facility in Albany and are mailed to the owner. We mail your new title certificate to the address on your registration record. Your mailing address on DMV records must be current. You cannot change your address during the transaction. You can first change your address online and then replace your title. Note: If you file a request with the US Postal Service to forward mail, there is no guarantee the USPS will forward all DMV documents to the new address. Boat registrations are issued for three years. What are the boat registration fees? Will a title be issued for my boat? The title certificate is used for proof of ownership for these boats instead of the registration. Title certificates aren’t used for boats that don’t match the description above or for boats registered with the Coast Guard. For a boat that doesn’t receive a title certificate, the transferable registration is proof of ownership, unless the boat is documented by the US Coast Guard. Is there an age requirement to register a boat? No. There is no age requirement to own or register a boat in New York. However, there are restrictions according to age for legal operation. These restrictions are outlined in the pamphlet, “New York State Boater’s Guide”, issued by the Department of Parks, Recreation, and Historic Preservation. Where do I put the registration sticker on my boat? Put your registration stickers 18 inches from the bow on both sides of the boat. This is approximately the same position that the stickers are located when a boat is also required to have registration numbers on the hull.